We believe people should keep their teeth for a lifetime. With preventive dentistry, you will. Prevention of disease is less costly, more comfortable, and far more enjoyable for all of us. Our goal is to have our patients eliminate cavities and gum disease through good oral hygiene, proper diet and nutrition, thus keeping dental problems to a minimum. No two smiles are alike, and neither are dental needs. But before problems can be treated, they must be diagnosed. 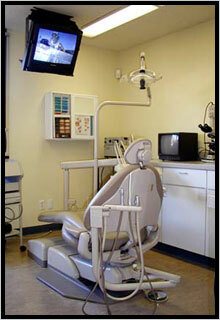 So in addition to a through medical and dental history, we will take necessary set of x-rays. Some patients express legitimate concern about the exposure to x-rays during the course of dental treatment. While everyone believes in the necessity of x-rays to detect unseen decay, abscesses, or the beginning of gum disease, our office practice a conservative approach. We have invested in the most advanced digital x-ray equipment there is. Digital technology reduces the exposure to x-ray dramatically (by 70%) compared to conventional high speed film-based x-rays. Good dentistry is more than excellent clinical skills and the latest state-of-the art equipment. We feel that mutual trust is an equally important factor in the success of your treatment. Our staff believes that open communication can help build this trust, so anytime you have a question, please don't hesitate to ask.